It’s time for the summer of giveaways on my various websites, and here is the first one for LEGO Dimensions fans! 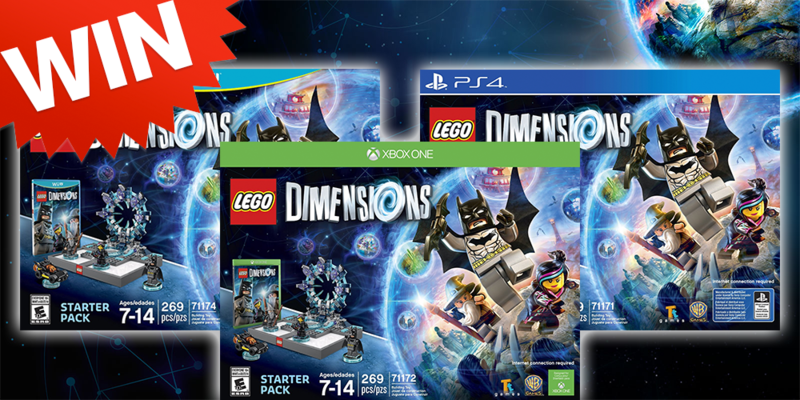 Up first is your chance to win a LEGO Dimensions Starter Pack on the system of your choice. Remember LEGO Dimensions Waves 5 through 9 does not require a new starter pack (and there may not be a new one anyways!). So the starter pack out now is all you need to enjoy any of the LEGO Dimensions packs. To enter, simply use the giveaway widget below or you can always go directly to the dedicated page by clicking here. Don’t forget to come back each day as there are a lot of daily entries! And of course, don’t forget to enter my Splatoon amiibo, Skylanders Imaginators Starter Pack, or the Finding Dory Play Set and Nemo Figure for Disney Infinity giveaways either.